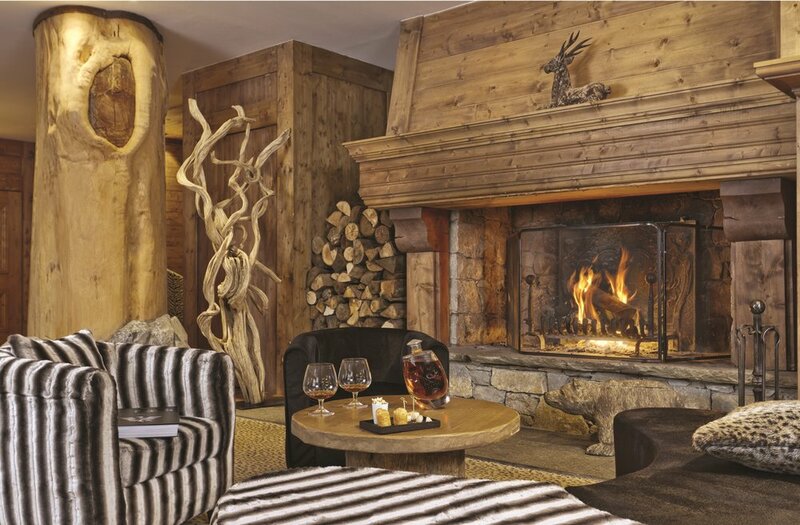 As part of our 2016 expansion into Val d’Isère, we are delighted to present the superb Barmes de L’Ours. Occupying a privileged location at the foot of the legendary Face de Bellevarde, this luxurious hotel opened its doors to much acclaim twelve years ago. The accommodation is imaginatively split floor by floor into four distinctive themes: Scandinavian – all pastels and muted wood; North American – think furs, soft leather and contrasting wood tones; Classic Chalet – lots of wood and bright soft furnishings and Contemporary – clean lines and modern furniture and design. No matter what your taste this pretty much covers it! 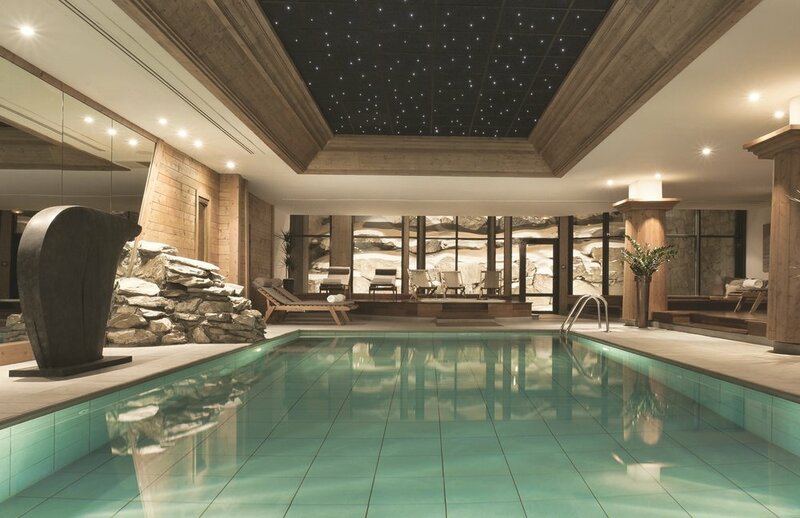 Within all this, there are 47 rooms and 27 suites – including some very well thought out family examples – culminating (literally) in the magnificent top floor Ours and Ourson suites featuring open fireplace, private sauna, Jacuzzi, hammam and large balconies affording panoramic views of Val d’Isère and the surrounding mountains. Back downstairs there are three restaurants: La Rotisserie – a comfortable traditional brasserie offering delicious fresh a la carte cuts roasted on an open fire; the elegant Table d’Ours providing a fantastic formal fine dining experience (and superlative buffets on Friday and Saturday nights); and Le Coin Savoyard - all old skis and sledges - a super-cosy spot to enjoy local dishes that will satisfy even the most avid reblochon cheese fan! After a hard day trying to take in as much as possible, head for the comfy sofa bar – full of original sculpture and complete with obligatory roaring fire – for a glass of something suitable. Of course, no hotel of this undisputed class would be without a magnificent spa centre and with 1000m2 of space the Barmes is no exception. With its sauna, Jacuzzi, hammam, wonderfully relaxing pool area and innumerable treatments, this is pampering at its finest. To sum up, a seamless blend of contrasting styles and a shining beacon of what can be achieved with exquisite taste and a lot of money. All bound up in one perfect location. Faultless. 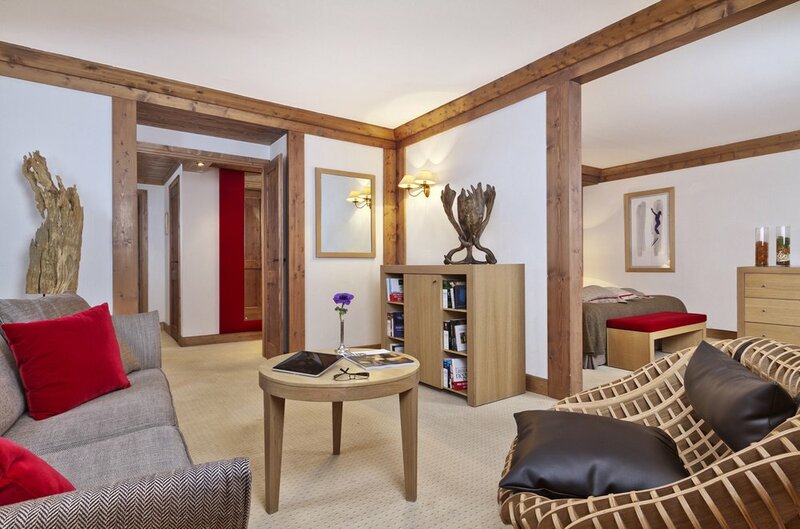 Why book your Val d'Isère Hotel with Exceptional Ski?